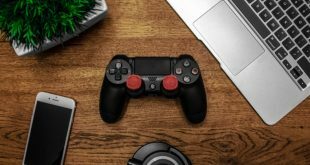 You might have been off the gaming wagon for a console generation or a brand new owner who’s dipping their feet into gaming. You’re probably better off not spending your dough on Bloodborne right away. 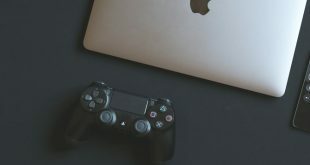 There’s plenty of PS4 games that can get you into the swing of things and clue you in on how most games work before you tackle the more challenging ones like Dark souls or Sekiro. Here’s the best of the bunch that‘ll shepherd you into becoming a Pro Gamer in no time. We make our lists based on personal experience, quality of narrative and gameplay, accessibility. 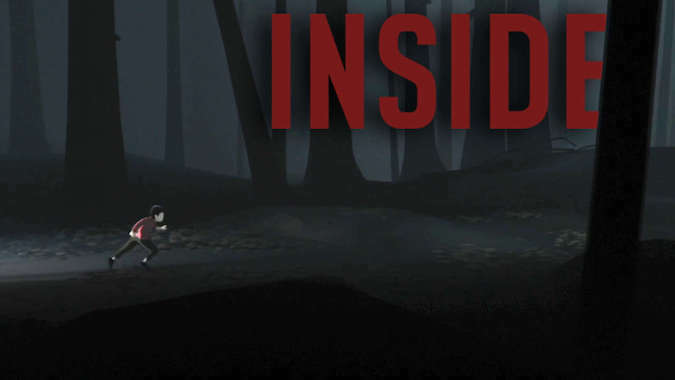 A Bite-Sized Indie Puzzle game that’s made by the same guy who made Limbo. Built with the Unity engine, this game is a classic. Its themes and nebulous story strikes a familiar chord with the players. You play as a boy who explores some unreal environments. It’s a linear game where you progress by solving puzzles and platforming. It only takes about two to three hours to finish. A perfect way to start your PS4 gaming journey. 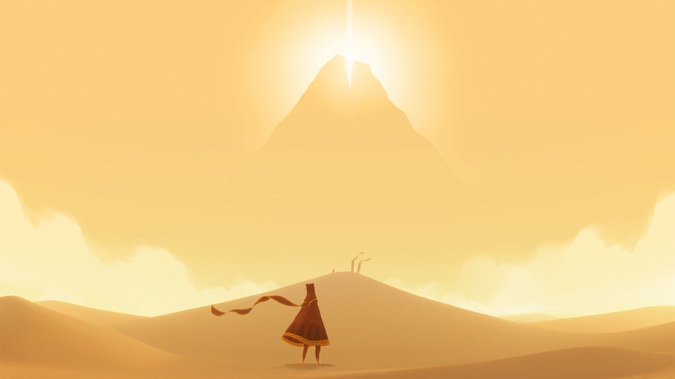 Speaking of journeys, Journey is more of an experience than a video game. You play as a robed character and traverse through different kinds of terrains as you progress the game. The stand out feature of this game is that it has a co-op like no other. It’s a game that is awe-inspiring and has a sense of wonder about it that you’ll think about it long after you’ve finished the game. Who doesn’t love being spider-man in the Big Apple? A spiderman game that rivals the original PS2 game in its mechanics, be it swinging or combat. 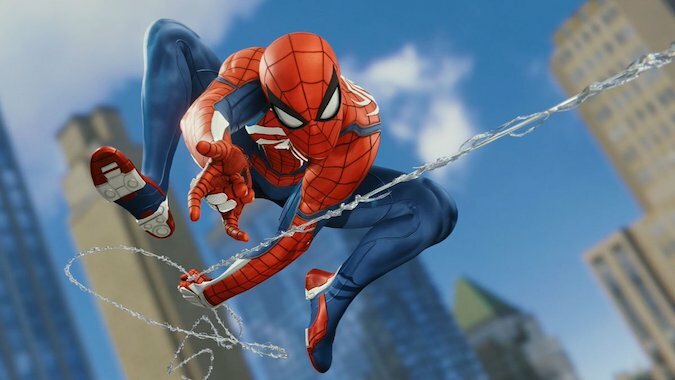 Swinging around the city and completing side missions is very addictive and satisfying. With Villains like Electro, Rhino, Mr. Negative the plot is rather interesting and well written. It’s the closest relative to the Arkham games. Also, its an exclusive for the PS4 which means it’s a must buy. 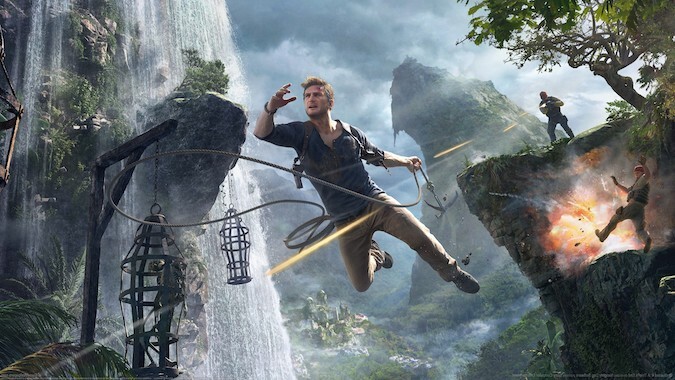 Uncharted 4 is the closest we get to play as Indiana Jones in a video game. Nathan Drake’s final adventure as he does one last job with his new found brother brings the best of the series with well-paced game design and a tighter focused story that compliments it. All the big Hollywood like action set-pieces definitely stand out from the rest of the list. You don’t need to have played the previous three as its an enjoyable romp in itself. The third entry in the rebooted franchise is rather different and yet similar to the previous entries. 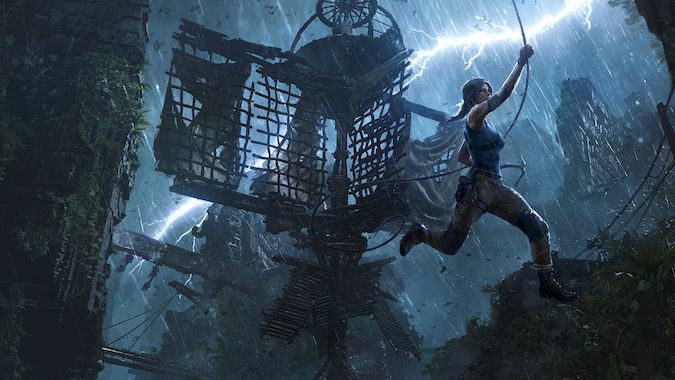 Tomb Raider (2013) streamlined the franchised with mechanics and set-pieces similar to Uncharted. Shadows give you stealth, HUB missions, collectibles, and crafting that gives more bang for your buck. It’s Got challenging tombs and puzzles which is what the original games were all about. 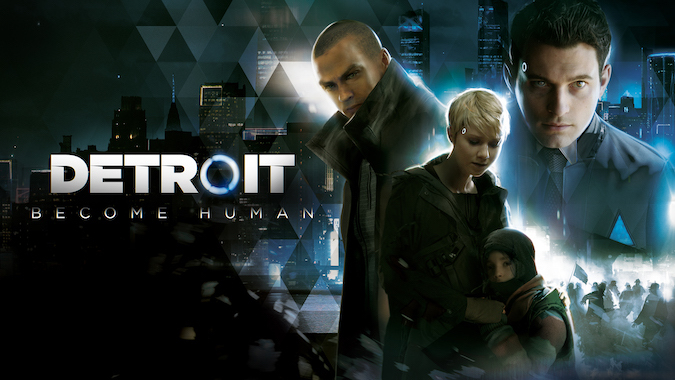 David Cage blew everyone away with this Interactive action game that only has Quick-time events. You play as a few different characters and any one of them can die at any moment based on how you choose to play, which also causes ripples in the story with different cutscenes and endings. It also the spawned a popular meme called “Jason! Jason!”, you’ll know why if you play it. Solving the murder mystery with a few different perspectives is definitely unique and Fresh. Ken Levine turned head when he made an FPS game with Immersive sim elements that tell a story in itself. 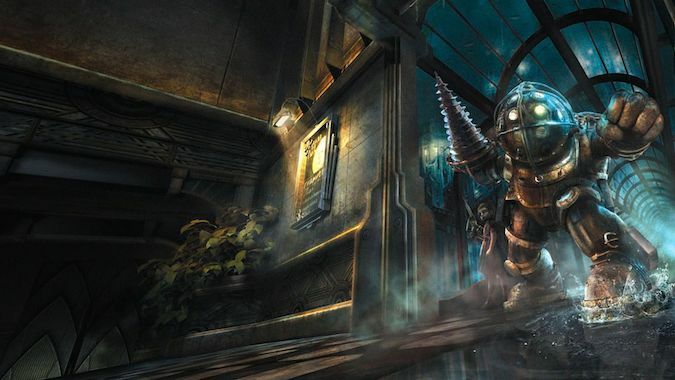 You play as Jack who crash-lands into an underwater city called Rapture and uncovers the mystery. It features Biopunk survival elements giving powers to the players like “plasmids”. Widely regarded as influential and one of the greatest games of all time. You’re way better off playing this than any of the COD titles. You’ve probably heard or have seen people play this, as it is one of the best selling games of all time. An open world action adventure game where you play as three protagonists and can cause chaos in the city to no end. You can shoot people, drive cars, play golf, ride a mountain bike, fly, sail, parachute and much more all in one seamless open world. 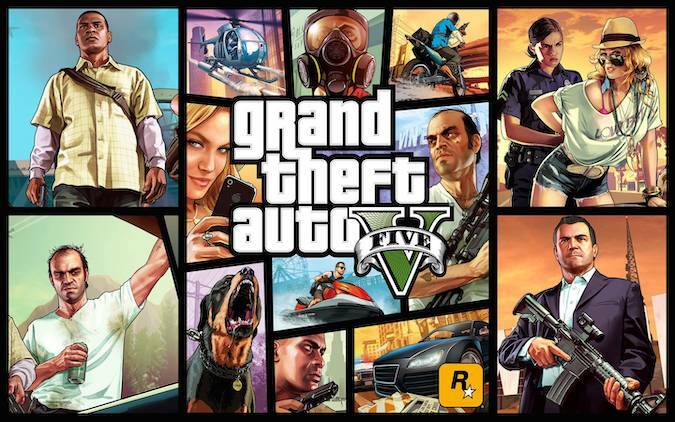 Rockstar’s biting satire is what sets them apart from the industry. It’s the attention to detail that is even more impressive. A must play for any gamer. A prequel to the original so you’re not really missing out. 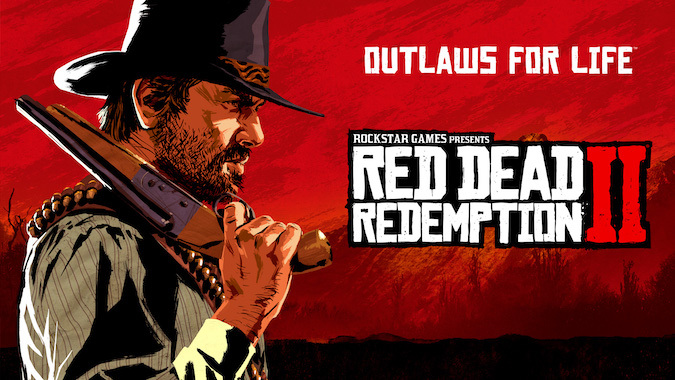 Rockstar took the western genre and made it theirs when red dead redemption came out. Red Dead 2 became the best selling game in 2018 and more interactive than ever. You truly feel like a cowboy riding around in the prairie alone, passing towns and living in the wild. Narratively, it’s by and large the best-grounded story rockstar has told to date. If you love westerns, this one is a no brainer. By Far one of the best looking games on the PS4. 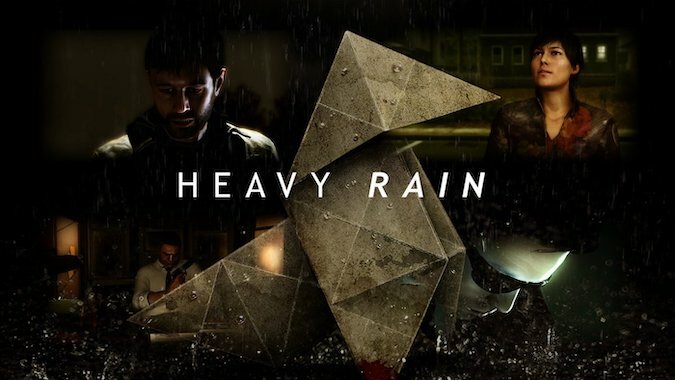 Similar to Heavy rain, you play as a few different characters that either perish or survive based on your choices. Each chapter features a flow chart showing you the combinations that could lead the narrative in a different direction. It tackles themes of being an outcast, sexual harassment that is not usually covered in video games. An exclusive to PS4 that sold more than 2 million copies, You should be one of them. 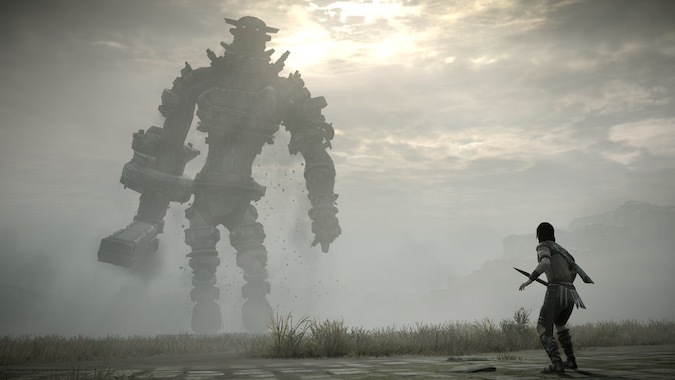 One of the few games that are considered to be art with minimalist game design as all you do is find 16 colossi around the open world and defeat them, which is basically just boss battles. The scale and the ingenuity of the game speaks for itself. It might look boring, but it worth it for the story alone which can bring you to tears. 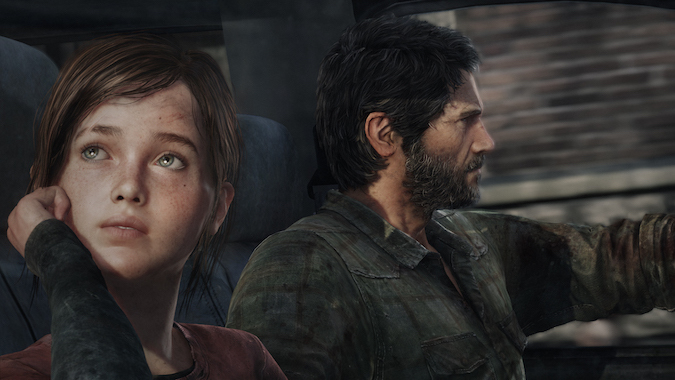 The PS4 Remake is built from the ground up by Bluepoint Games and looks better than ever. Play this NOW. A first-person shooter in an alternate history where Nazi’s rule America and KKK exists. If that didn’t excite you, You can also Dual-wield heavy weapons which is nuts. 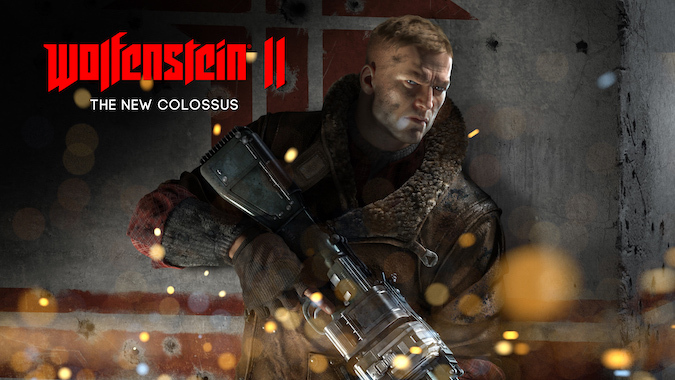 German-American music feels unique to the setting and gameplay feels crisp and punchy. It’s ballsy enough to make social commentary and does not punch down. Incredible level design and no loot boxes are a recipe for a must play. 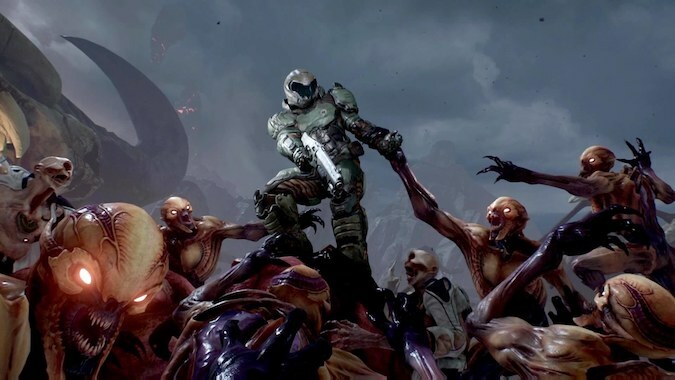 Doom is an aggressive First-person shooter that has no qualms for violence and gore. It’s a remake of the original but with incredible combat and fun level design. A sequel is in the works with more demons and weapons. It saved the FPS genre from becoming stale. Bethesda’s classic franchise can stand the test of time. You definitely should play this if ‘Gameplay is King’ is your mantra. 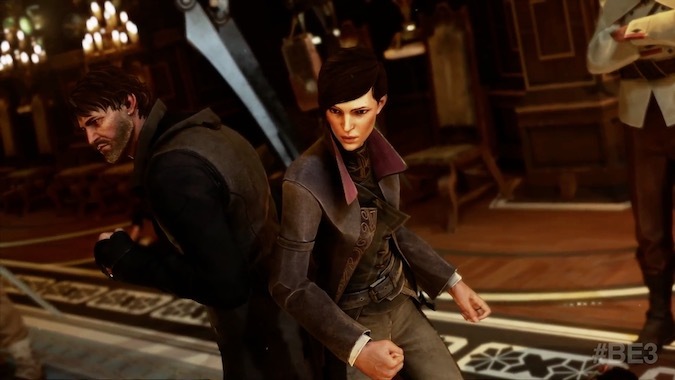 Dishonored 2 is an Immersive Sim by the original creator of Deus-ex that makes the player narrative a priority. Each level has an objective that can be completed in both lethal or non-lethal ways. You have an array of options to choose from and make your anecdotes with systems that interact with each other. Its whale punk theme and fantasy elements compliment its gameplay and narrative. Incredible levels like Clockwork mansion and a crack in the slab make some tension-filled stealth challenges. 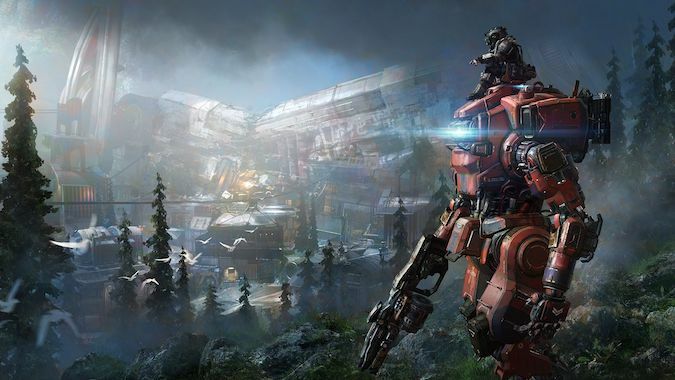 You probably know them as the developers of Apex legends. The creators who worked on Call of Duty MW 2 started a company to fully realize their vision. You play as a pilot and can control Titanic mechs that are powerful with tons of weapon variety. An engaging story with combat that rivals any Call of Duty, brought this game to the spotlight. It might not have sold well but is widely regarded as a cult hit within the gaming industry. 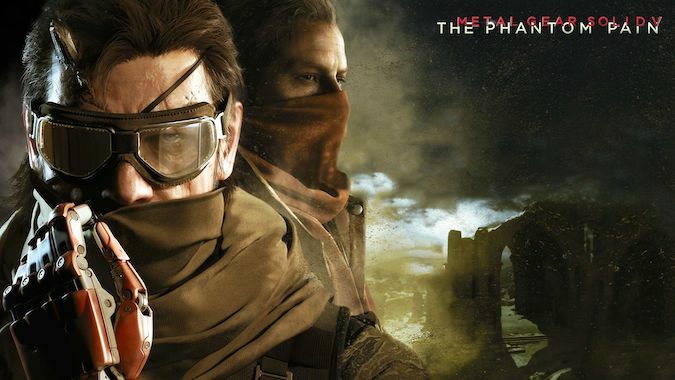 Kojima’s last Metal gear game before he left Konami for Sony. He went out with a bang. With gameplay that built entirely around emergent gameplay like Dishonored except it’s not linear but an open world. The plot is ambitious and filled with the narrative depth the needs a keen eye to really understand it but its intriguing nonetheless. You can call in bombarding from the mother base along with extra ammo or gadgets for stealth, which is pretty OP(overpowered), a gaming jargon you already know. 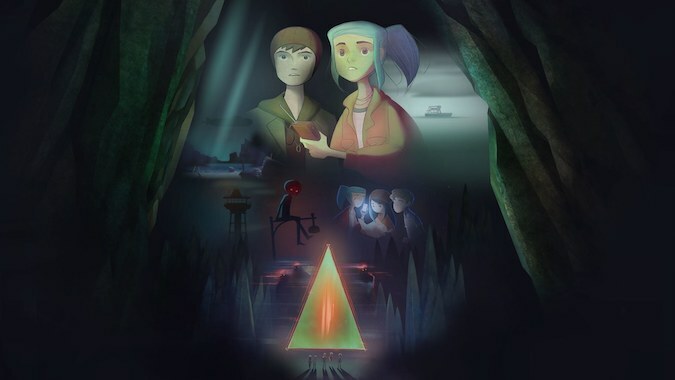 Oxenfree is a 2D supernatural adventure that mostly is about a bunch of teenage kids on an island like the one in “Lost”. Noted for its well written and natural dialogue where characters don’t talk like robots but use conjunctions like “Ummm, where was I again, oh, and “ which adds flavor to the game. The graphics are cute and well animated for an indie budget. It’s always nice to support indie developers that innovate in the gaming industry, so do your part. 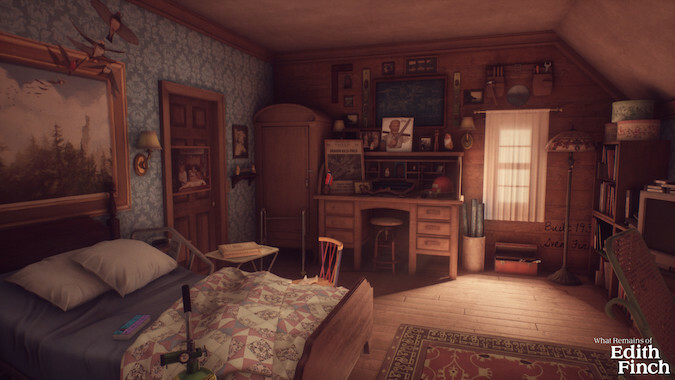 A First Person narrative game where you explore a house to know more about the deceased family. You interact with objects and things to discover their memories. It creates an emotional bond between you and the characters with the help of game mechanics. 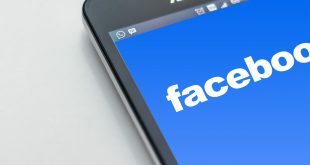 For example, in one memory you have to chop fish and control a daydream at the same time which conveys and makes the player feel like the character itself with empathy and interactivity. Video games can also be a powerful medium of storytelling and this game certainly proves that. 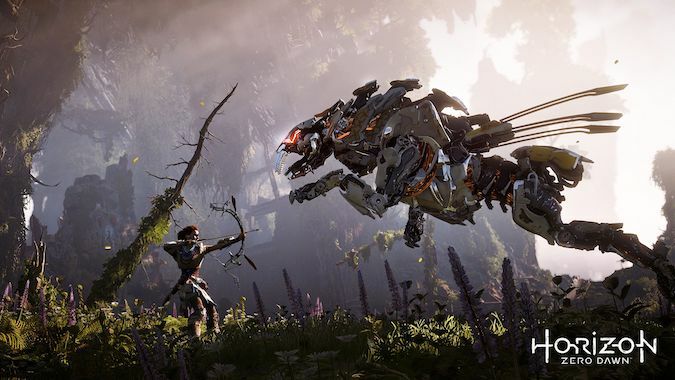 Guerrilla games which made Killzone, took risks and made an open world action-adventure game that paid off handsomely. You play as Aloy, an outcast from the tribal world who’s starting to realize how important she is to humanity. As the narrative opens up over the course of the game, you realize that you are too. Fighting robot dinosaurs and animals is nothing something we’ve seen before and it is as awesome as it sounds. Laying traps, using fire, electric arrows make up for a gameplay loop that is addictive and rewarding. 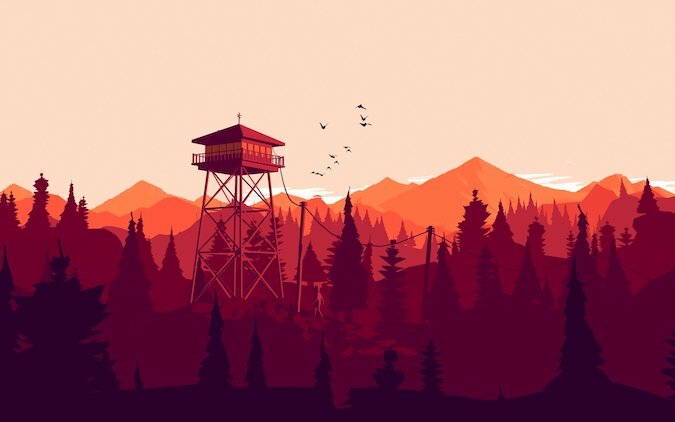 Firewatch is an adventure game where you play as Henry (A Fire lookout) whose wife is diagnosed with dementia. With Realistic dialogue and a riveting plot, the story takes the main stage as you explore the woods. A walkie-talkie dialogue tree helps you build a connection with another lookout on the other end. Its a realistic take on life and relationships that keeps you pondering at the end. It’s only a couple of hours, but it’s rich with a well-told story. You truly think and become Batman in this Arkham trilogy finale to Arkham city. New additions like the Batmobile, wares, and Fear takedowns adds more layers to the game-changing combat. 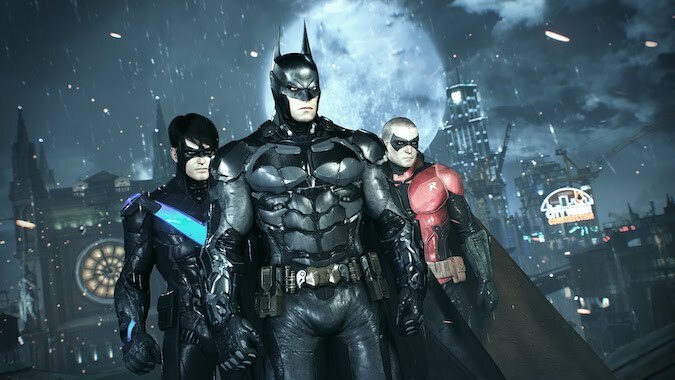 You get thought out side-quests that flesh out the world and Batman’s rogue gallery. It also explores Batman’s inner Psyche which no other medium has done so far. Graphically it achieved something that most games struggle with; a balance of Character design and world design with attention to detail. Batman in the rain at night on Gotham’s rooftops is an image I’ll not forget anytime soon. A reboot of the OG stealth game. 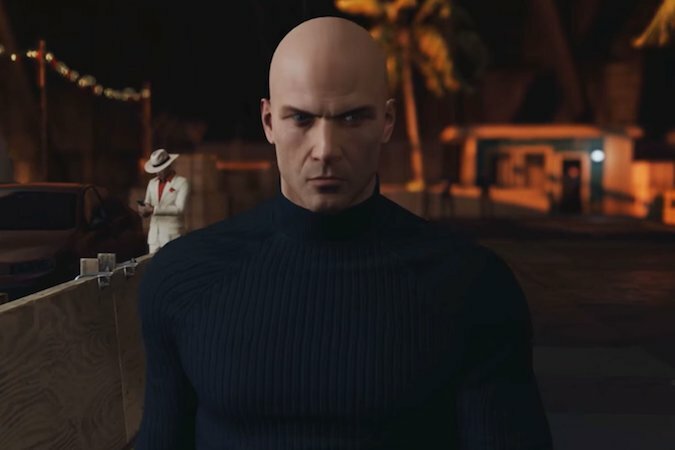 Hitman is one of the few games that lets you be a stealth assassin rather than just make you ‘feel’ like one. You have the choice to explore all of your options for an objective and choose how you want to kill your target. You can poison someone’s wine with rat poison, place an explosive golf ball, dress up as their Guard, and much more. Each level is designed with intricate routes and opportunities to clue in on what you can do, the creative ways you can kill a target. Sean Bean can also die in one of the episodes in the sequel, you know juicy and awesome it can be. CD Projekt Red’s claim to fame was because of this RPG that prioritizes role-playing rather than shooting and looting (I’m looking at you Fallout 76). Geralt is one of the last Witchers that can slay monsters and bed women the same night. 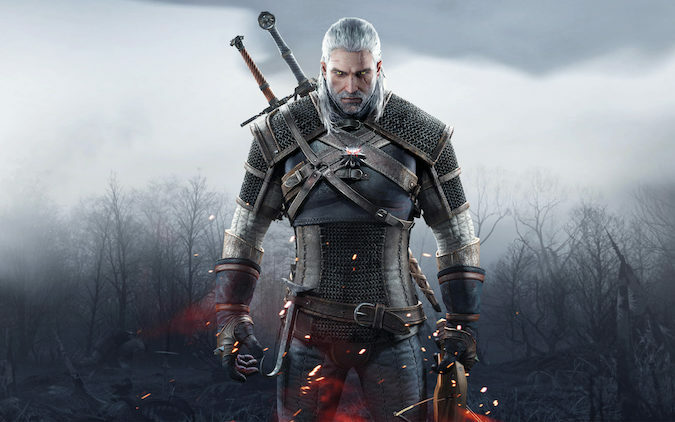 Mature writing, seamless open-worlds and 150 hours of content is something that only CD Projekt can do. Even the DLC is about 40 hours. Combat variety is on full display with lots of moves and spells that you can use Mid-combat. Each monster has its own weakness and strength that you can study and defeat for better armor or weapons. 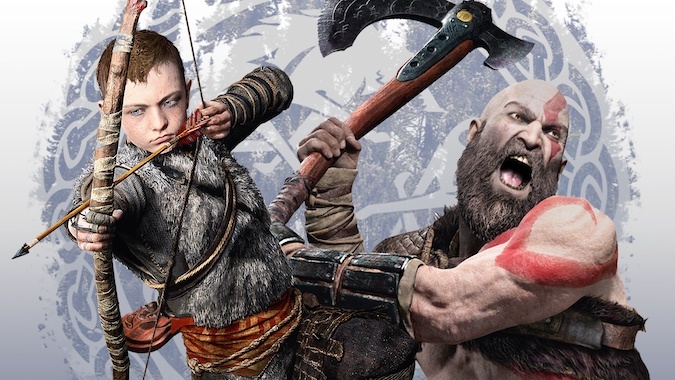 Kratos is back for the PS4 generation but with a kid and is in the Norse lands of Midgard (also not featuring Asgard). With new changes like Axe, Third person camera, Armor it really mixes up the old formula but still retains the feel of crunchy powerful God-like effect of the originals. Inspired by games like Dark Souls and The Last of Us. God of War tells an incredible story with lore and narrative that is one of the greatest in this generation. Post-game content like the Valkyries is awesome for you to test your skills and get extra flavor/depth with the side missions. 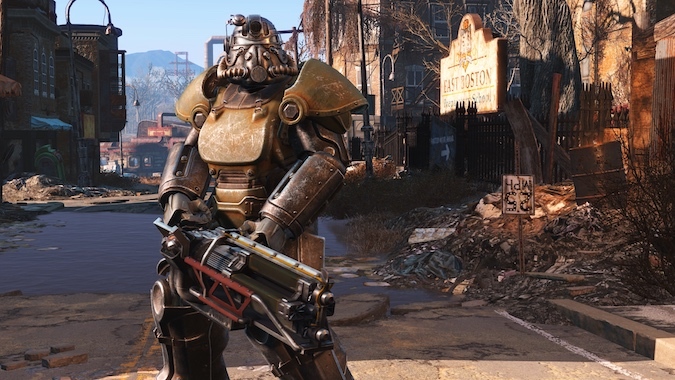 Fallout is one the best RPGs out there with a unique setting and missions that last for about 100 hours if you can spare the time. Role-playing as a survivor in the wastelands exploring and discovering old relics can be enthralling, to say the least. Reading notes or stories that were left behind from the action is the best part for me personally. Gunplay has vastly improved and VATs(slow motion) is now in real-time, so you still need to watch what you do before taking action. If only I could replay all of it with a fresh memory. After Years of Development Hell, it finally came out in 2016. 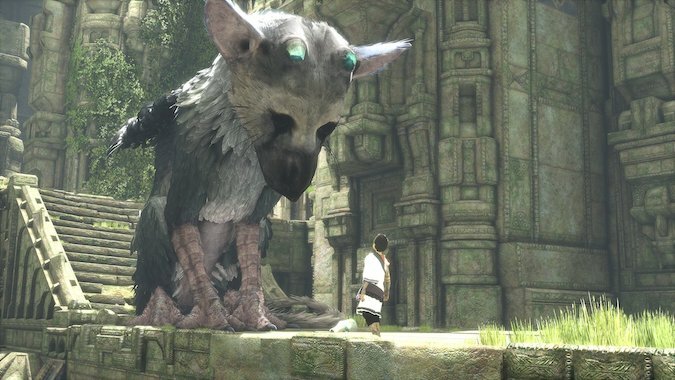 If you can own a dog or a cat, you can really relate this game as you build a bond with Trico(an aminal ) playing as a child. The controls might feel clunky and weird but it’s all part of the charm as you feel emotional taking care of the animals like one would in real life. It mostly involves solving puzzles and fighting strange creatures but you have to do it with Trico. In a day and age with generic shooters, action, stealth games this one is wildly different. Naughty Dog’s Masterpiece to say the least. It marries both gameplay and narrative to create that lightning in a bottle brilliance. It showed people how tired old tropes can be flipped on its head to make fresh and interesting narrative-driven gameplay that’s just as thrilling. The fact that every bullet literally counts and aiming is not an afterthought feels vital and real. Like it would in the Post-apocalyptic world. A fresh take on zombies with fungus made the genre feel new and exciting. You can play this on 60fps even on the base PS4. Believe in the Firefly. 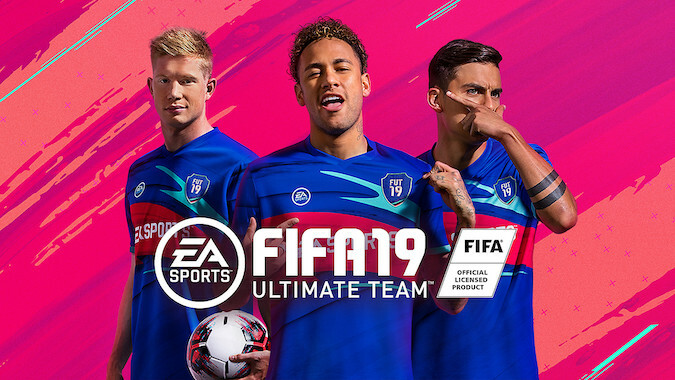 Everyone’s played FIFA So, why is this one worth buying you ask? Story Mode. Yes, FIFA has a story mode to follow a character named Alex Hunter and his journey to becoming one of the greatest players of all time. New modes and better animations make improvements to the familiar formula but the story mode gives you a reason to play it for what it is. If that’s not your cup of Joe, You’ll obviously play co-op which is better than ever with new tournaments and leagues. 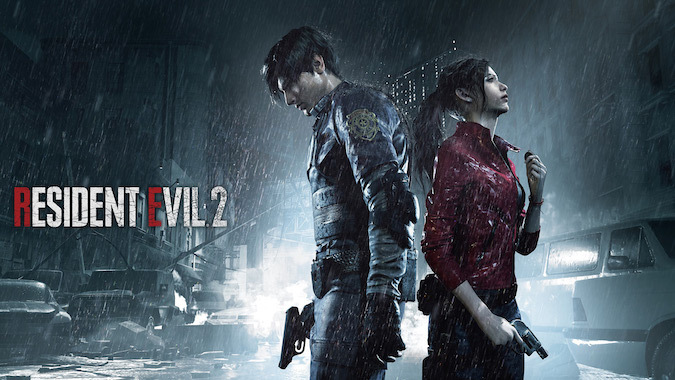 Resident Evil is synonymous with Zombie or even horror games in general. It’s the remake of the hit game that has two different player character but each one has a different set of obstacles and challenges. It faithfully remakes the original game with a new engine and great graphics. You manually shoot heads and limbs to stop enemies and reload clips in real-time which only builds more tension. It respects the players and treats them with intelligence when solving puzzles and during combat encounters. 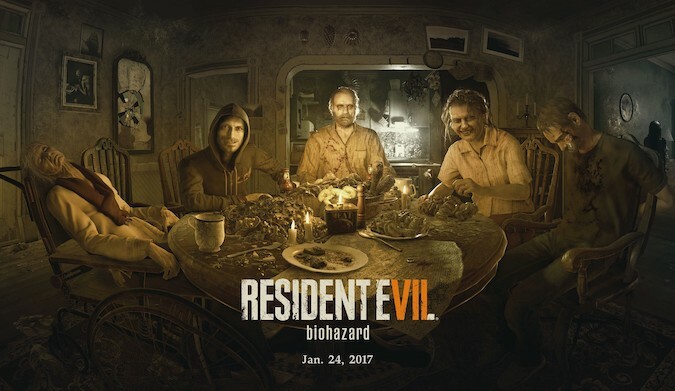 The sequel surprised everyone when announced as a First-Person horror game going back to its roots and taking place in a mansion. Graphics, gameplay, and environments are spectacular especially when played in VR. It brought the focus back to horror rather than action unlike Resident Evil 5 or 6. Playing alone in the night is a truly terrifying experience, you probably will wet the couch. It has a demo that gives you a taste of how it kinda feels to play. There’s even DLC that’s just as good. It’s the eleventh game in the Franchise. It’s a brutal fighting game with Gore to spare (like Buckets). It brings new mechanics like Fatal blows and Krushing Blows. Also, when you get a Flawless Block, you can now do a counter-attack right after. Gratuitous Gore is always fun as a good horror movie. Mortal Kombat is even more fun when you play against another player of course. 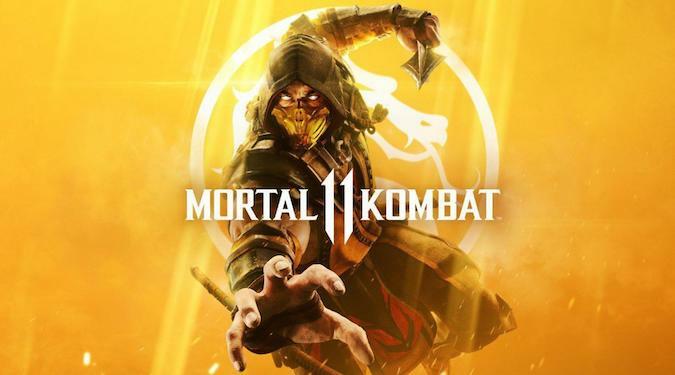 The single-player mode should let you master the skills enough to compete against other players. If you liked these games check out our list of Best Upcoming PS4 games in 2019 and beyond. We do our list by analyzing different skill level, appeal and by playing them of course. These games are recommended for people who have never played a game or rusty from not playing in a long time. That’s just my personal opinion though. What do you reckon are good games for beginners? Clue us in in the comments below. Video games junkie, Skateboarder, Content creator. He beat all of the souls-borne games. Techwiser’s unrivaled ping pong champion. Occasionally falls asleep while editing videos.